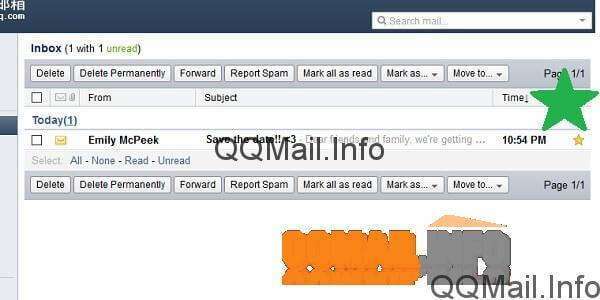 If you have created a qqmail email account, why not take advantage of everything it lets you do? 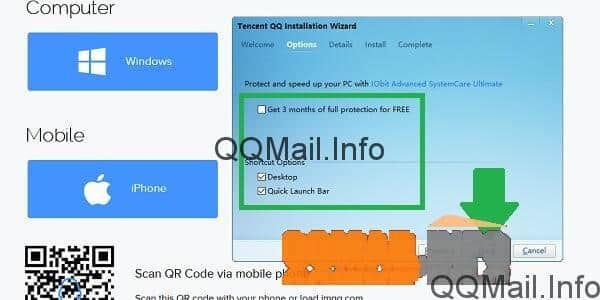 The free chat/instant messenger program from Tencent, QQ International, is the next step to get the most out of your email account. 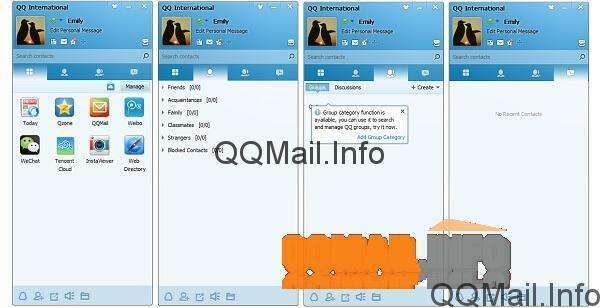 QQ International is especially useful for people who are using qqmail because they have friends, coworkers or business partners in China or in some other country. The program itself isn’t much different from other popular IM applications, except for one huge feature: integrated chat translation. You can automatically translate your instant messaging conversations to make it easier to communicate, with support for more than 50 languages. And don’t worry – just because you’ve never heard of QQ International before doesn’t mean it isn’t popular. As of this writing, the chat has over 1 billion (with a “b”) registered users in more than 80 countries, with at least 100 million users online at any given moment. 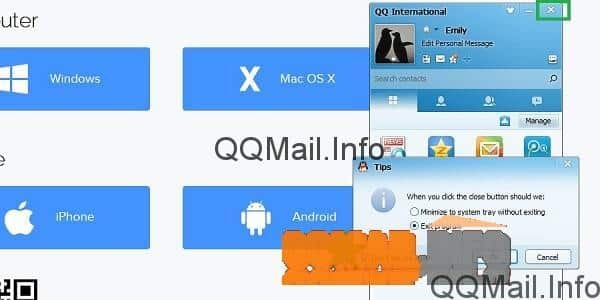 If you already have your QQ Mail email account, all you need to do to get chatting with QQ International is download the app to whatever device you want, and sign in with the information you used to register with qqmail. You can do this by going to the homepage at http://www.imqq.com/ and clicking on the “download” button or the “download” link at the top. If you haven’t signed up with QQ Mail yet, you can click on the “sign up” link instead to register an account. 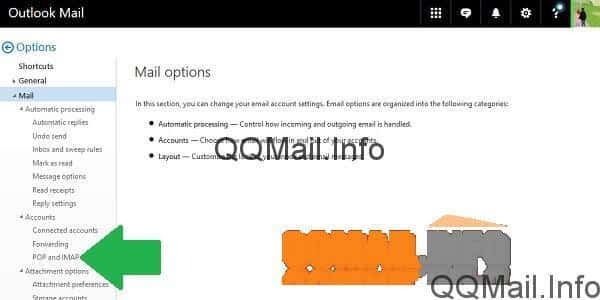 I recommend you take a look at our tutorial on creating a qqmail account first, though, because the sign up process can be a bit tricky. Now, simply click on the version you want to download. I’m on a Windows PC, so I’m going to click on the “Windows” button, and save the file in order to proceed with the QQ International download. Depending on your device and which browser you use, your downloads may appear in your tool bar or somewhere else. I’m using Firefox, so I can see the progress of my current downloads here. Note: this download failed on me twice for some reason, but all I had to do was refresh the download and it ended up working perfectly. Once the download is complete, click on the file to open it and start the installation process. If your computer asks you whether you want to allow Tencent to make changes to your computer, say yes. Otherwise, you won’t be able to install the application. 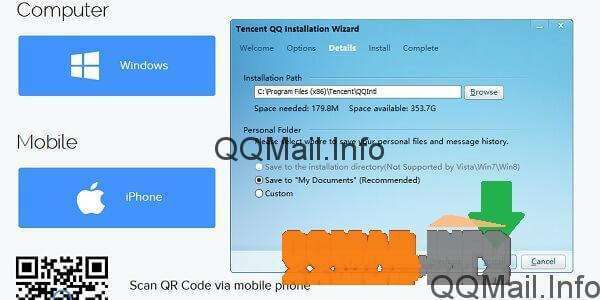 When you accept, it should open the QQ International Installation Wizard on your computer. The default language is English, but you can change it to something else if you want. When you have the right language, click “next”. Next, you’ll have to read and agree to the software license agreement. Make sure you check the box, and then click “next”. On the next screen, you’ll have some options for side programs and application shortcuts. I rarely allow a side program to be installed, so I have unchecked the box next to “Get 3 months of full protection FREE from iObit Advanced SystemCare Ultimate”. For shortcut options, it’s a matter of personal preference. When you have everything the way you want, click “next” again. The next screen will show the installation path (where the program will be installed on your computer) and will allow you to choose where you want saved chat history to go. The default is “My Documents”, and I would suggest just leaving it that way. You don’t have to change anything on this screen. Just click “install”. Now it’s time to wait for the installation to finish. You can let this run in the background or watch and learn some potentially useful info about QQ International. It shouldn’t take more than a couple minutes. When the installation is completed, it’s time to make your last setup decision. Do you want the chat app to start automatically every time you turn on your PC? If so, leave the first box checked. 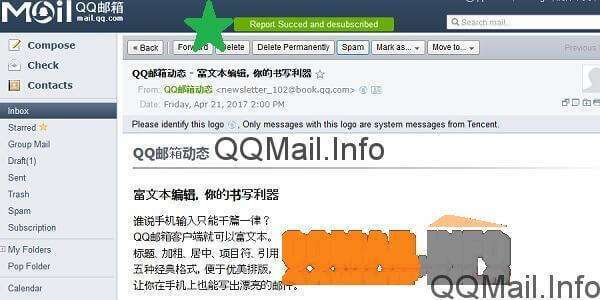 Do you want QQ International to open right now? Then leave the second box checked. Do you want to get a little report every time the program is updated? If you do, leave the third box checked. When you’ve made your choices, click on the “finish” button. 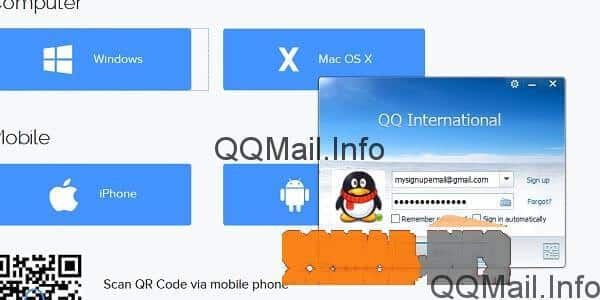 Now that you have downloaded QQ International and installed the program, it’s time to log in. If you opted to have the program open automatically, the sign in box should appear on your screen. Otherwise, just open the app using the shortcut on your desktop, quick access bar or start menu. 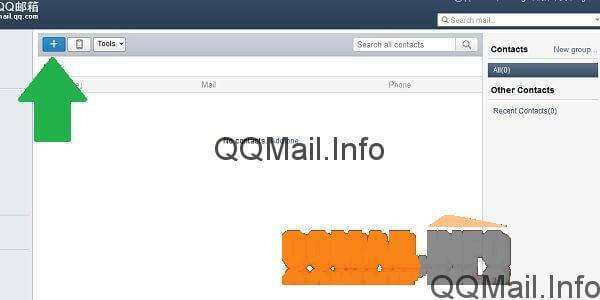 In the email box, you can enter the email address you used to sign up for your QQ Mail email account. 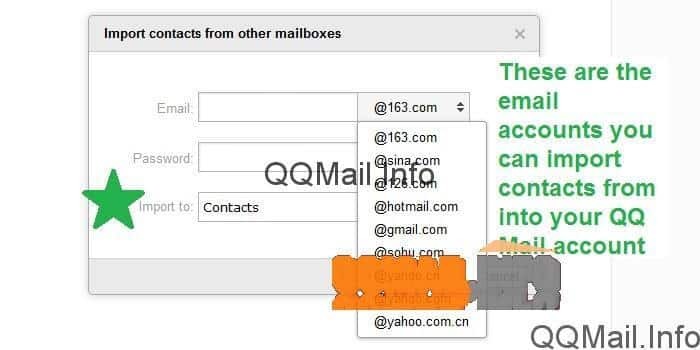 You could use your actual QQ address too, but most people will find it easier to remember their primary email address rather than the numbers that make up their QQ ID. 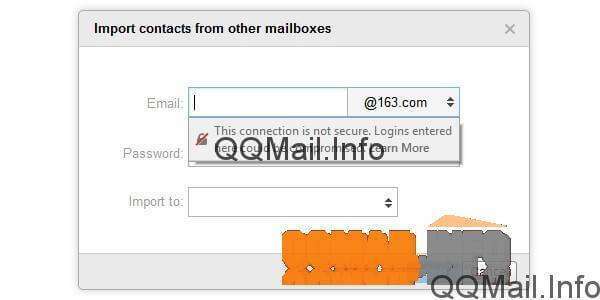 In the password field, enter the same password you use to log in to QQ Mail. Finally, click the “sign in” button. 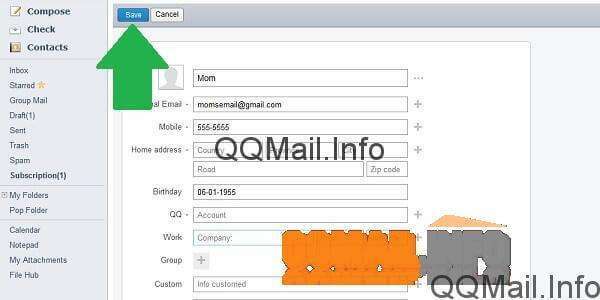 If your info was correct, you’ll be signed in to QQ International and will see your contacts list appear. The first time you log on, you may also see a user guide. It can’t hurt to look at it, but you can exit out if you want. 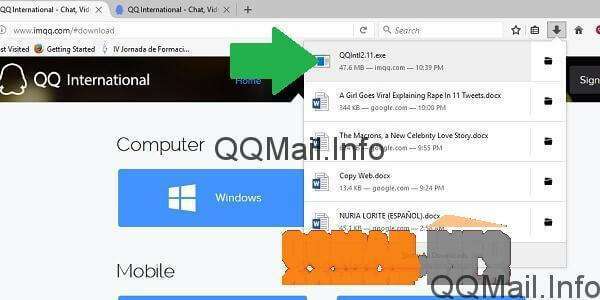 Now, here is a quick guide to the main tabs in your new QQ International chat program. The first tab with the tiles icon is all of the QQ/Tencent apps you can use from your account. The second tab is your buddy list. The third tab is where you’ll find group discussions. And the last tab is any recent contacts you have interacted with. 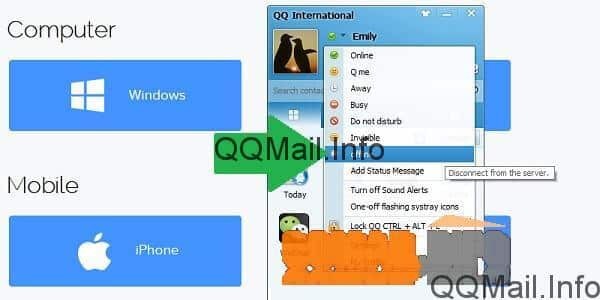 Like most instant messengers, QQ International likes to be on as much as possible to keep you connected to your contacts. This can make it a little confusing to log out and close the program. In order to sign out, click on the colored button next to your name. This button reflects your online status: online is green, the clock icon is away, etc. To log out, click on the “offline” status option. You’ll see that the alt text here says “disconnect from the server”. Just logging out won’t actually close the program though. 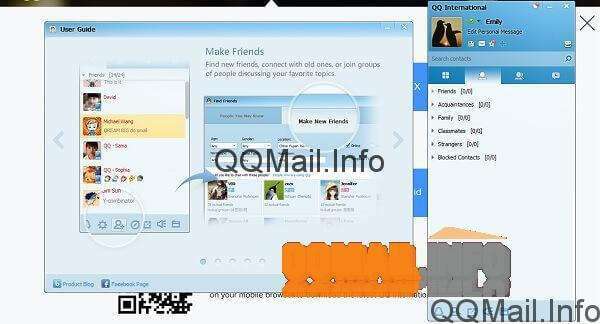 Now, here’s something I really like about QQ International compared to Skype, for example. You can choose what you want the “X” button to do: exit the program, or just minimize the window and keep it running in the background. Personally, I hate not being able to use the “X” to actually exit a program (looking at you, Skype). 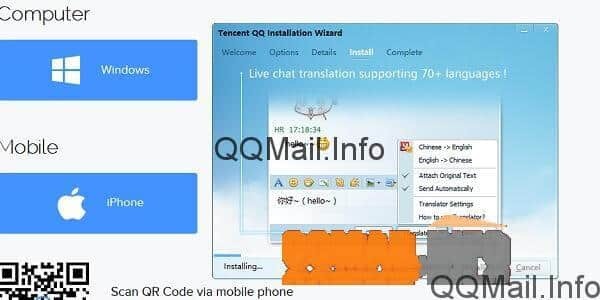 So, if you’re like me, here’s how to set up QQ International so that it actually closes when you “X” out of the window. Click on the “X” button like you normally would to exit something. Now, on the pop-up that appears, mark the button next to “exit program”, and make sure the check box is marked so that it remembers your choice. Finally, click “ok”. 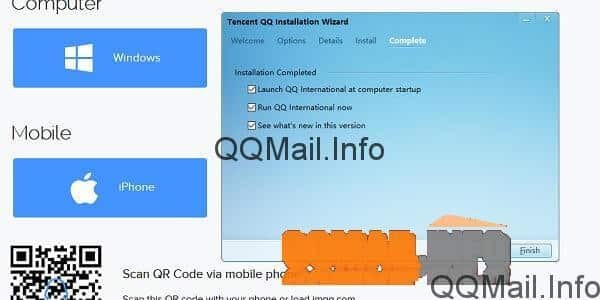 So, now you have a whole new way to make the most of your QQ Mail account with Tencent’s official chat/instant messenger app. If you really want to go all out, you can find mobile versions of QQ International in Google Play Store for Android devices or the iTunes App Store for iOS. That way, you’ll always be able to reach your contacts, whether you’re at home or on the go! 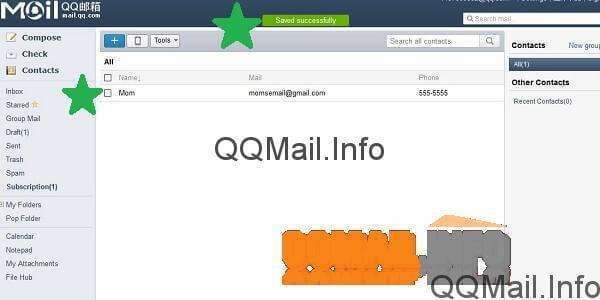 Make sure you let all your contacts in China and other countries know that you’re using QQ International. Chances are, they are too, and they’ll be happy to connect with you. Hawaiians love the kind of Spam that comes in a can, but no one likes the kind that comes in your email. 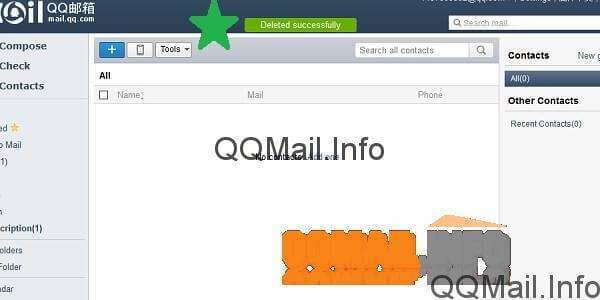 In this post, we’ll talk about how to mark and delete spam emails from your QQ Mail account. Doing this will teach your email how to filter out unwanted messages so they don’t clutter up your inbox. 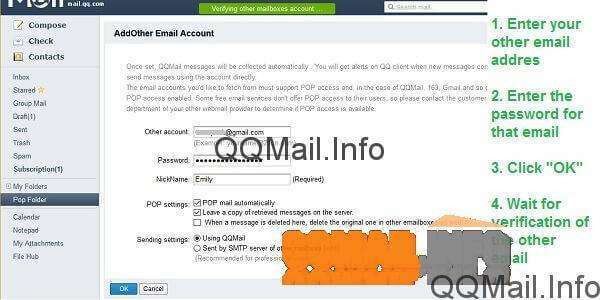 To get started, make sure you know how to sign in to your qqmail account. 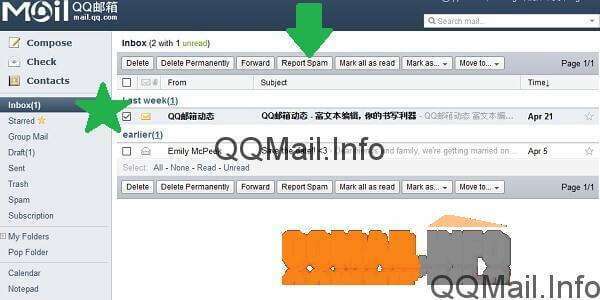 We’ll be starting this tutorial from your main QQ Mail inbox view. 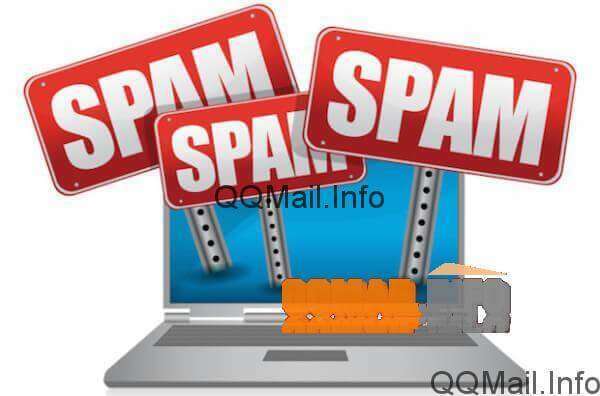 Just like most major email platforms, qqmail comes with a built-in spam folder and a way of filtering emails. The “Spam” folder can be found in the left menu bar, right underneath the “Trash” folder. 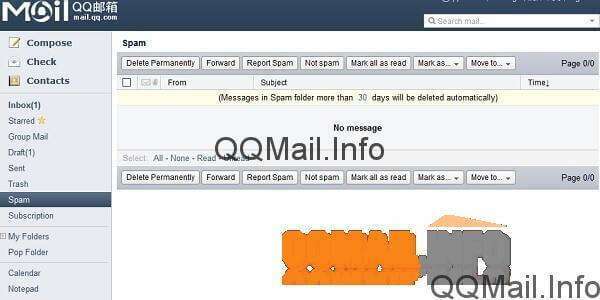 If you click on that link, you can look at your qqmail spam folder. As you can see, mine is empty at the moment. Now, back to our main inbox view. If you see that an email has arrived and you know it’s spam without even opening it, you can mark and delete it right from your inbox. To do this, just check the box next to the unwanted message, and then click on the button “Report Spam” at the top of your inbox. On the other hand, sometimes you don’t know a message is spam until you’ve read it. If you have opened an email and see that it’s just icky spam, all you have to do is click on the “Spam” button at the top of the message. 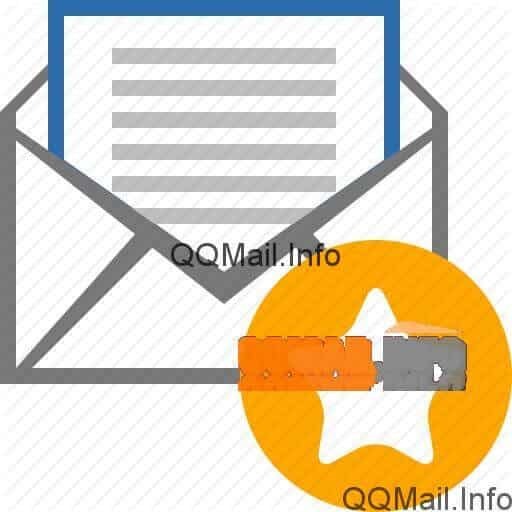 Whichever method you use, you will get a notification from QQ Mail that your action was successful. It says “Report Succed and desubscribed”. I think what it means to say is “Report successful and unsubscribed”. 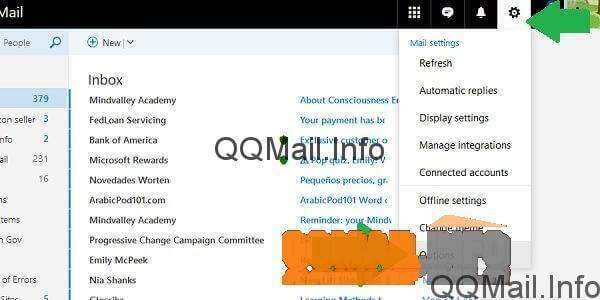 By now, you know that qqmail doesn’t always have perfect English. Note: This email was not sent to my spam folder, but rather remained in my inbox. I imagine this is because it was an official Tencent system email. Presumably, any other message would be moved into the “Spam” folder, along with any similar messages that would be put there automatically in the future. 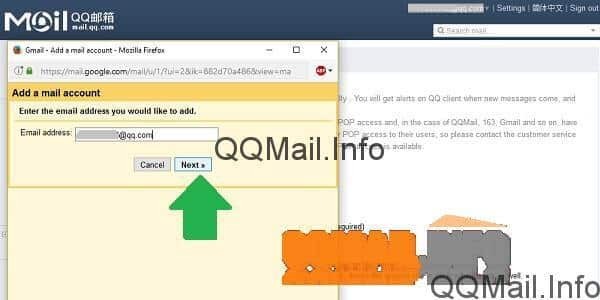 If you accidentally report an email as spam, or if qqmail automatically filters out a message that isn’t really spam, you can fix this easily. Simply go into your “Spam” folder, check the message that you want to recover, and click the “Not spam” button. The email will be moved back into your inbox. 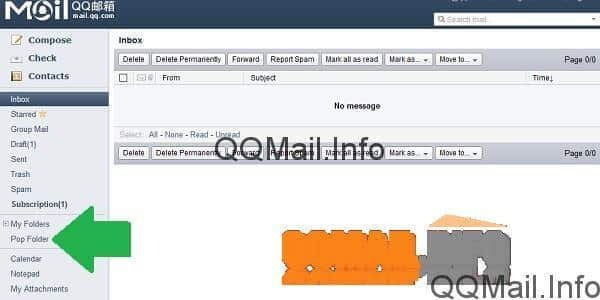 Marking and deleting spam in qqmail isn’t complicated, but it can help keep your account much more organized. The more spam you report, the better QQ?? will get at filtering out those unwanted messages, so you never have to deal with them. Any emails that get put in your “Spam” folder will be automatically deleted after 30 days, so it is a good idea to check periodically to make sure it doesn’t contain anything that doesn’t belong there. When you use your email for all of your regular communication, it can be hard to keep track of the most important messages. Luckily, there are two easy ways to save important emails in QQ Mail. What’s more, you can do it right from your inbox or other folder, or while reading the message. 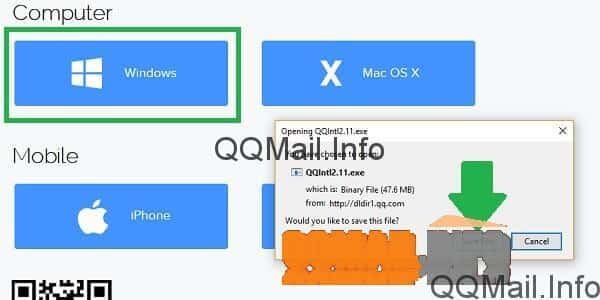 In this qqmail tutorial, we’ll give you step by step instructions for saving important messages using the star system and by creating a special folder for important emails. 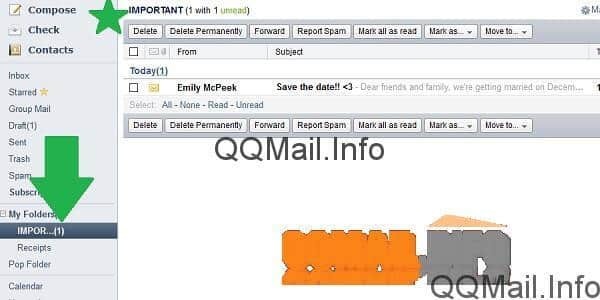 We’re going to start with a new message in our qqmail inbox that we want to save in a special place for important messages, like in the image below. 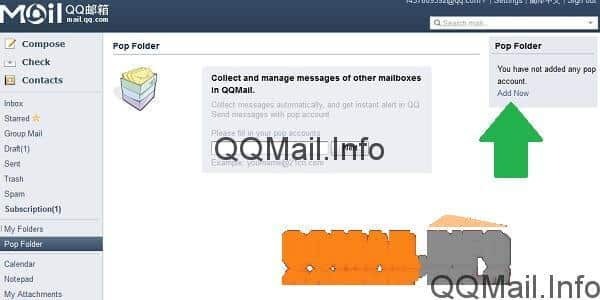 If you aren’t sure how to sign into your qqmail inbox, read our tutorial on logging in and out of QQ Mail first, and when you’re all logged in, come back to this page. This is probably the simplest and most visually attractive way to save important messages in qqmail. If you use Gmail regularly, this star system is very similar. 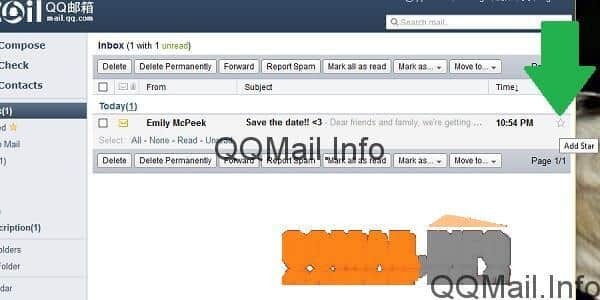 If you look at the left sidebar in your qqmail account, right underneath the “Inbox” tab is a section called “Starred”. This is there by default, so you don’t have to create it yourself. It is basically a pre-made folder that you can go to in order to find all the emails you have labeled with a star. Labeling a message with a star is super easy. Find the email you want to mark as important, and all the way to the right will be a little outline of a star. If you hover your cursor over it, you might get a little box telling you what it does: “Add Star”. Once you click the star, it will be filled in with yellow, indicating that the email has been starred. Notice that the message is still in your inbox. Starring the message won’t move it out of its original folder. All it does it make it easier to find again by putting it in the “Starred” folder as well. To see what I mean, go ahead and click on the “Starred” tab under the “Inbox” tab. You should see your newly starred message there. The star system is nice because you can see the little yellow stars from your main inbox. This way, they aren’t “out of sight, out of mind”. But it’s still easy to filter out all the less important email just by looking at the “Starred” tab. Hint: You can also create “labels” for messages that work just like stars. Select the desired message, click on the “Mark as…” button, and create a “New label”. Name it whatever you want. 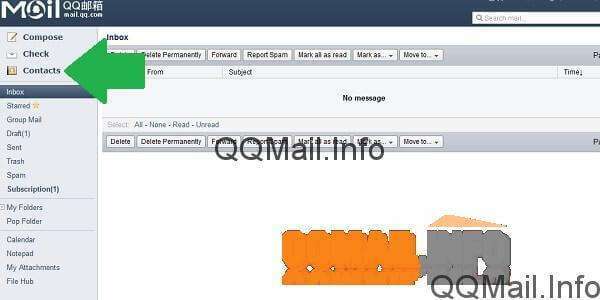 The only issue with saving important messages using qqmail’s star system is that it works best when used sparingly. If you have a ton of emails that you consider important, you might be better off creating your own system of folders to manage those messages. Here’s why: imagine you have 1,000 messages in your inbox. Now imagine that 500 of those are “important” according to your criteria. If you went and starred all 500 of the important messages, it would still be hard to find what you’re looking for in the “Starred” tab. A better way to organize a huge amount of important emails like this would be to create multiple types of “Important” folders. For example, you might have 100 go to a new “IMPORTANT Work” folder, 100 to “IMPORTANT Family”, 100 to “IMPORTANT Social”, 100 to “IMPORTANT Medical”, and 100 to IMPORTANT Other”. It’s a lot easier to sort through 100 messages than 500 (five times easier, to be exact). 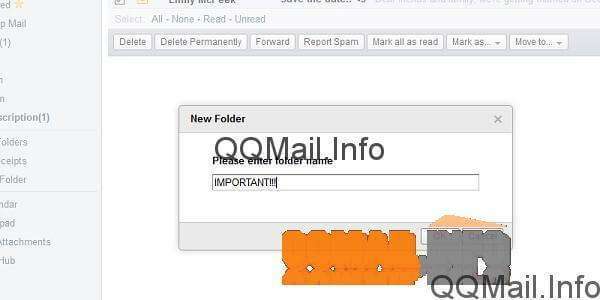 Creating a new “IMPORTANT” folder in qqmail is also very easy. Just make sure that the message or messages you want to move to the new folder are checked, click on the “Move to…” button, and select “New folder…” at the bottom. Now, just type in the name of your new “Important” folder. Then, click “OK” to save it and move the selected messages. Note: I typed some exclamation points here, but it turns out you can’t use special characters in your folder names in QQ Mail. So my folder name ended up just being “IMPORTANT”. Now, in your left side bar, under the “My Folders” section, you will find your new “Important” folder, which should contain all the messages you selected in the first step. Click on it to look at the folder. As you can see, the message I wanted to save in my “IMPORTANT” folder is right there were I put it. This folder is available for you to use whenever you want now. Next time you select a message and go to move it, this “Important” folder will appear in that drop-down menu that unfolds from the “Move to…” button. Create as many different folders as you need to stay organized. 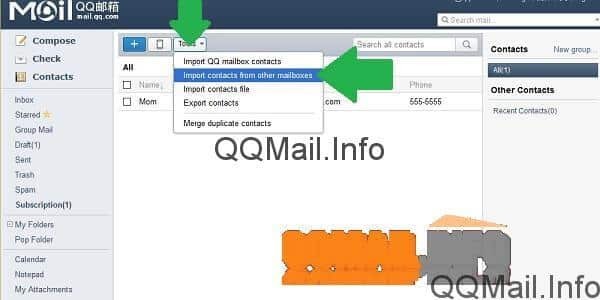 Hint: for a more detailed tutorial on creating folders, check out our post on how to create folders in QQ Mail. 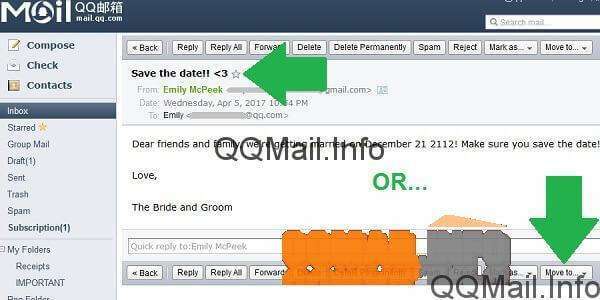 One of the nice things about qqmail is that the interface doesn’t change very much from your inbox view to message view. You can save important emails while reading an open message using either of the two methods described above. For the first method, just find the little star outline next to the message subject, and click it to save it to your starred messages. For the second method, click on the “Move to…” button, and select your “Important” folder if you have already made one, or create a new folder for important messages. 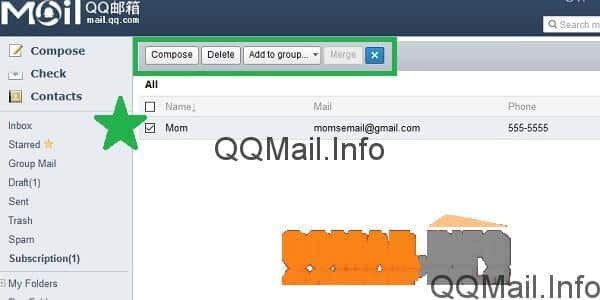 See how easy it is to save important messages in QQ Mail? Personally, I like the stars because they’re visual and pretty. But for people who are nervous about throwing anything away because it might be important “someday”… Well, folders are a great solution for you. You can stay organized and never worry about having deleted a message that might be important in the future. 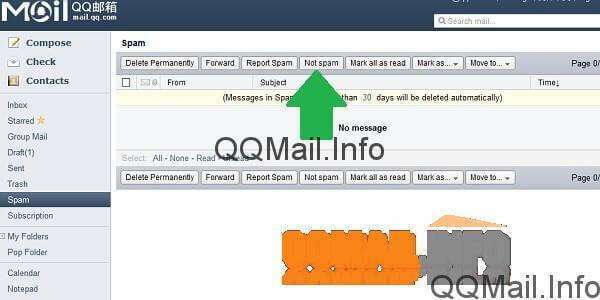 Don’t miss our next tutorial on how to mark and delete spam in QQ Mail. Sometimes we get bogged down with multiple email accounts on multiple platforms and we just want to streamline everything into one inbox. That’s where mail forwarding comes in quite handy. 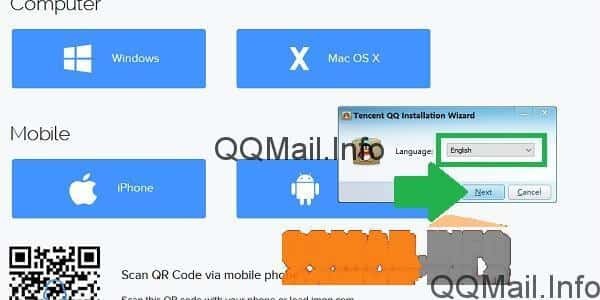 In this post, we’ll talk about how to set up mail forwarding from other accounts into your QQ Mail inbox, and also how to forward messages from QQ Mail to other platforms like Gmail and Outlook.com. 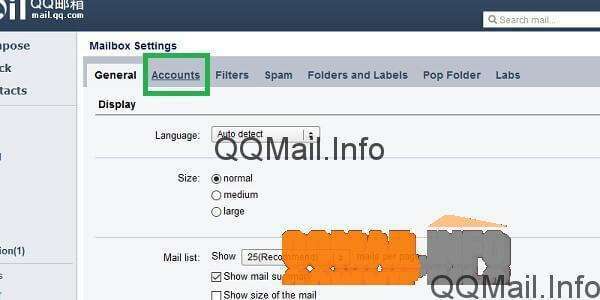 To get started, make sure you are logged in to your qqmail account so that you are viewing your mailbox. 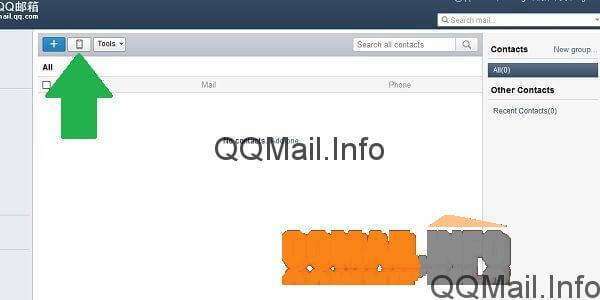 If you need help signing in, check out our previous post on how to sign in and out of qqmail. The system that downloads and forwards your email from one service to another is called “POP”. 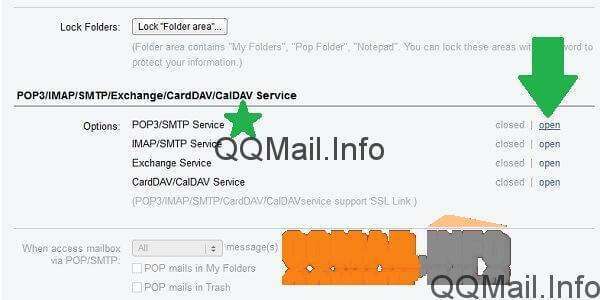 So, to get started setting up mail forwarding, first look to the left side bar in your qqmail inbox and find the option that says “Pop Folder”, and click on it. 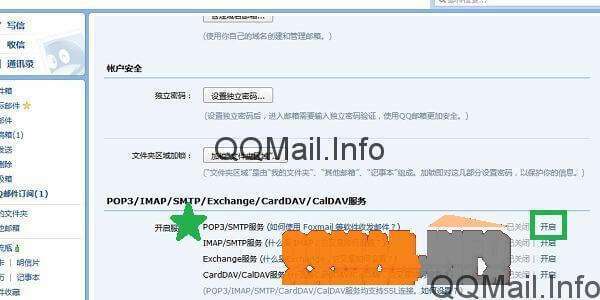 If you have never set up mail forwarding in your account before, you should see a box that says “you have not added any pop account”, with a link you can click to “add now”. Click on that link. 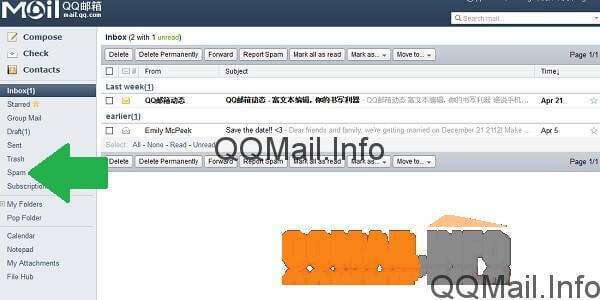 Now, QQ Mail is going to give you a form to set up your external account. Before the form, though, there is some important information that you need to read to make this go smoothly. 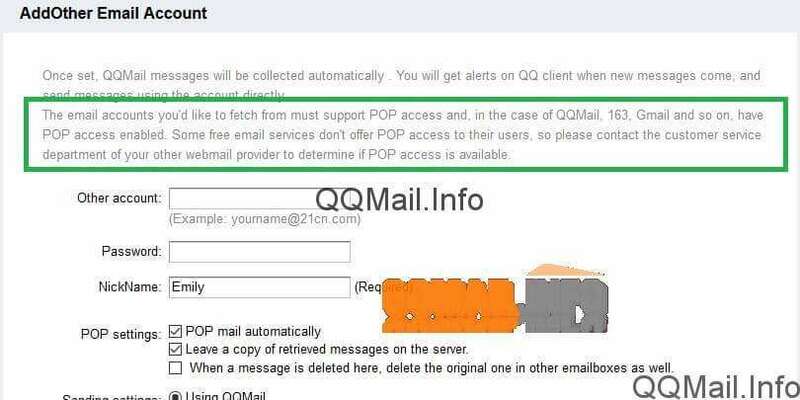 Basically, it says that in order for mail forwarding from your other email into your qqmail to work, the other account needs to support POP and have it enabled. We’ll get to that in just a second. You can go ahead and fill in the address for the email you want to fetch email from, along with the password for that external account. But don’t submit the request yet! 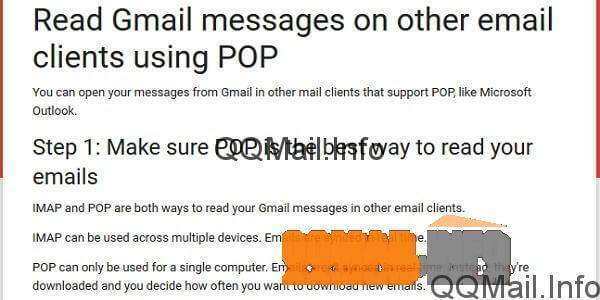 We need to check that POP is enabled in our other email account first. 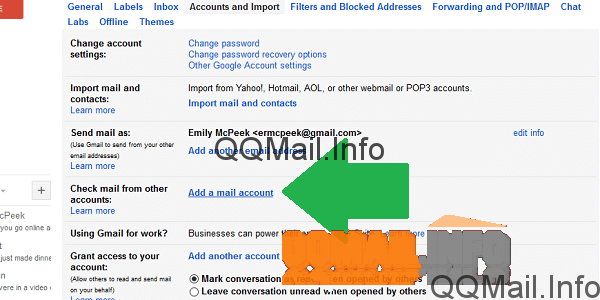 In the next sections, we have the steps to follow to enable POP access in Gmail and Outlook. 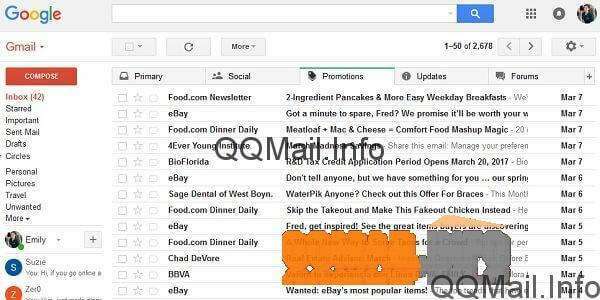 If you want to send messages automatically from your Gmail to your qqmail, this is the section you want to read. First, start by logging into your Gmail account so that you’re in your inbox. Now, click on the gear icon in the upper right-hand corner and go to your “Settings”. You’ll be taken to the “General” tab of your Gmail settings. Farther to the right is another tab called “Forwarding and POP/IMAP”. Click to go to that tab. From this point, it’s a good idea to click on the “Learn more” link in the “POP Download” section. 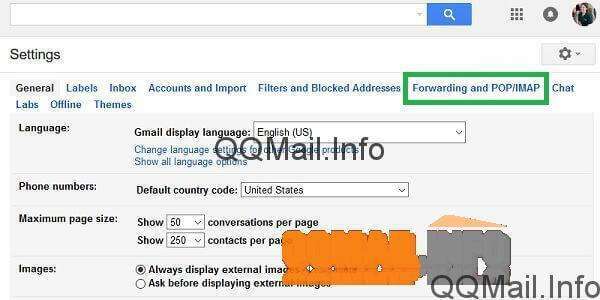 This will take you to detailed information from Google about the rest of the steps you need to follow to set up mail forwarding. Note: Apparently my POP access was enabled since I set up my Gmail back in 2009 (where does the time go?). However, when I tried to submit the request in QQ? ?, it said it wasn’t enabled. So my recommendation is to select the button next to “Enable POP for mail that arrives from now on” and save your changes, even if it looks like POP is already enabled. 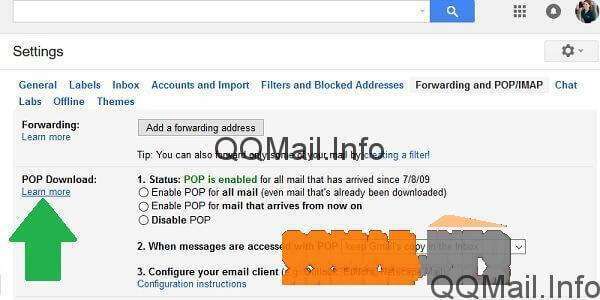 Once POP is enabled in your Gmail settings, you can go back to that QQ Mail form and submit the request. It will send a request to Gmail’s servers. If it doesn’t work right away, try again in a few hours or contact tech support for Gmail and/or QQ Mail. 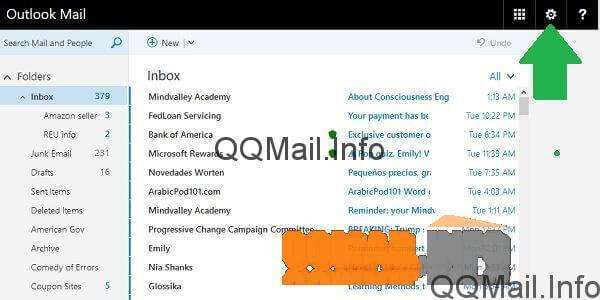 If you want the mail you receive in your Outlook, Live, Hotmail, etc. 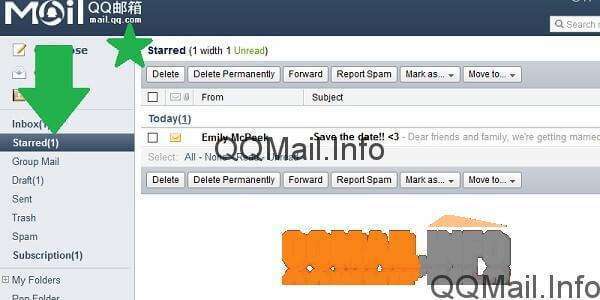 email account to be automatically forwarded to your qqmail inbox, this is the section you want to read. First, log in to your Microsoft account and go to your email inbox. You can also do this from the Mail app on Windows 8 or Windows 10, but the buttons will be in a slightly different place. In the web app for Outlook.com, click on the gear icon in the upper right-hand corner. When it the menu opens, go all the way to the bottom of the menu and click on “Options”. Now, you will be taken to your Mail Options screen, with lots of different links in the left side bar. Sometimes, this page takes a few seconds to load. You’ll just have to be patient 🙂 Under the “Accounts” section is a link that says “POP and IMAP”. Go ahead and click on that to set up your POP options. You will most likely see that your “POP setting” is “Access disabled”. 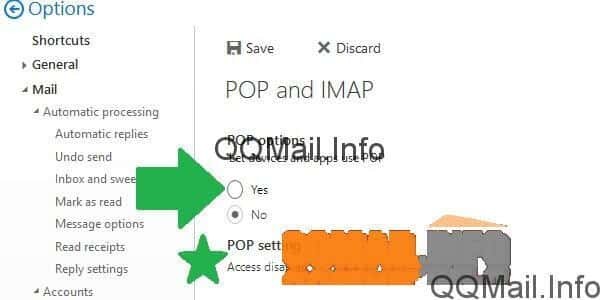 You will need to enable POP in order for qqmail to have access to your Outlook email, so select the “Yes” button where it says “Let devices and apps use POP”. Once the “Yes” button is selected, make sure you save the changes using the “Save” button at the top of the screen. It might take a few seconds to save. And once it does, it might look like nothing has actually happened. You might need to refresh the page in order to see that your POP is in fact enabled now. I had to exit my Options panel and go back in. 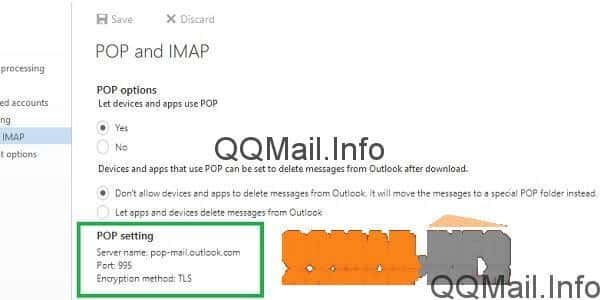 Ultimately, you will see that your “POP setting” has changed to a few lines with the information of the Outlook email server. 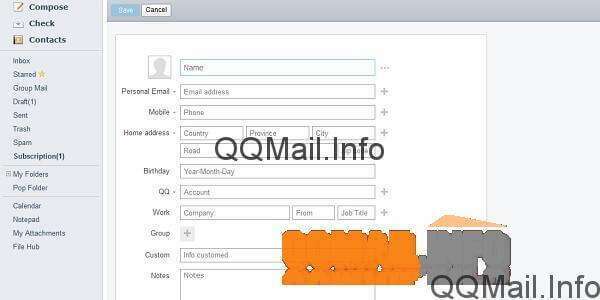 Now you can go back to the qqmail form you left filled in in the first section and submit the request. 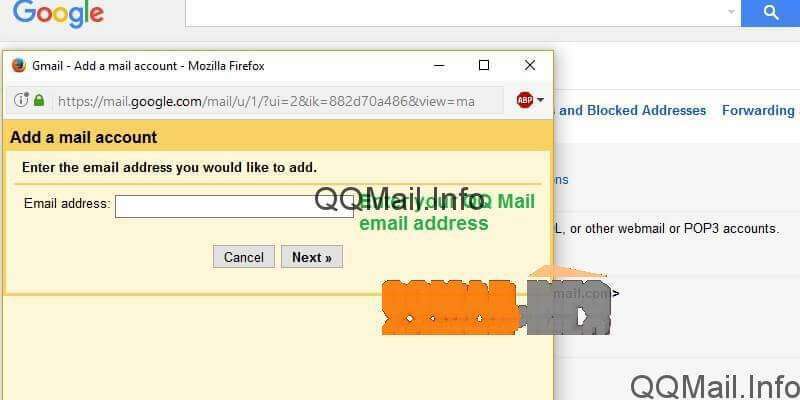 When you click “OK”, qqmail will send a request to your Outlook account to fetch your emails from it. If it doesn’t work right away, try again in a couple hours or contact tech support for Outlook and/or QQ Mail. 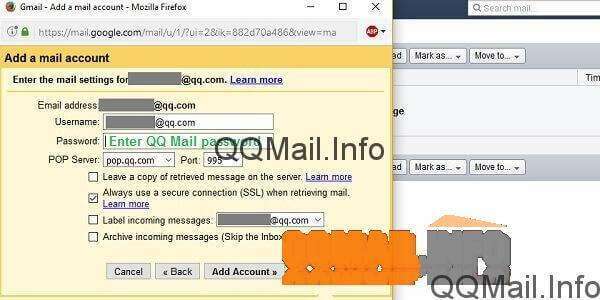 The more likely situation is that you will want to send your qqmail messages to an email account that you use as your primary one, like Gmail, Yahoo or Outlook. The exact words and locations of the buttons will be different for each type of account, but the steps are more or less the same. I’m going to walk through the steps in Gmail. 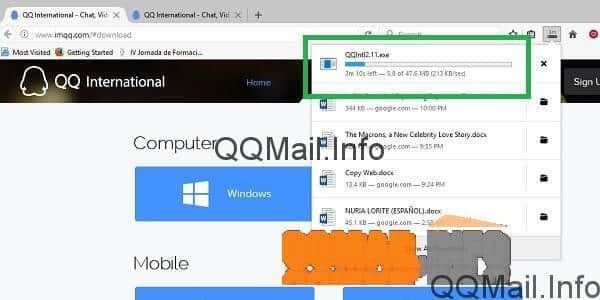 One quick thing: Before you try to forward from qqmail to your Gmail, Outlook or wherever, make sure you have the phone you used to set up your QQ Mail account handy. In a minute, you’re going to have to enable POP access in qqmail, and it will require verification from an SMS text message in order to do that. Okay! First, go into your primary email account and go to the settings/options panel. There should be a tab or section that has something to do with adding accounts or importing mail. In Gmail, it’s a tab called “Accounts and Import”. In Outlook, it’s the “Connected accounts” section. You will want to click on the option that lets you add a new email account to import from. In Gmail, this is in the section for “Check mail from other accounts”. In Outlook, it’s on the “Connected accounts” screen – you just have to click on “Other email accounts” under the heading “Add a connected account”. 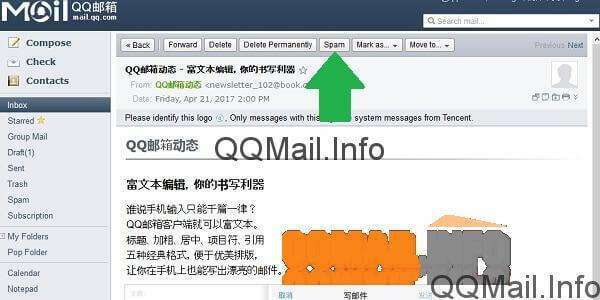 The next step is to enter your QQ Mail email address. I found it was easiest to just copy and paste it from my qqmail inbox. 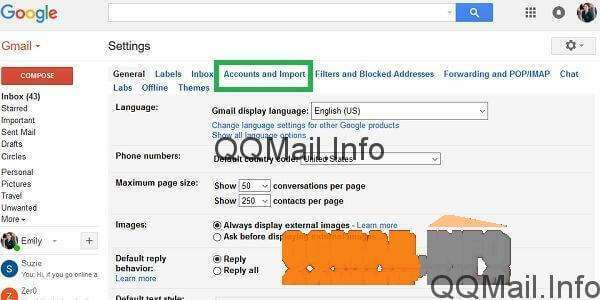 From this point on, your mileage will vary depending on whether you are trying to import into Gmail, Outlook, Yahoo, etc. Gmail gives you an intermediate screen before you enter your password. 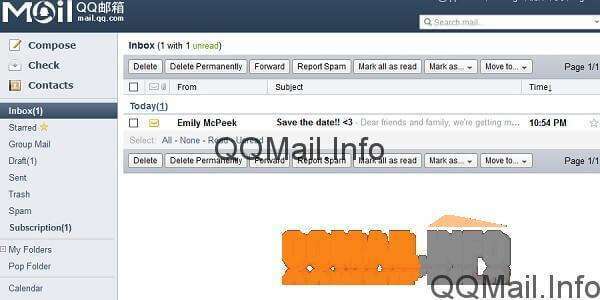 If you’re in Outlook, though, the password is entered on the same screen as the qqmail email address. 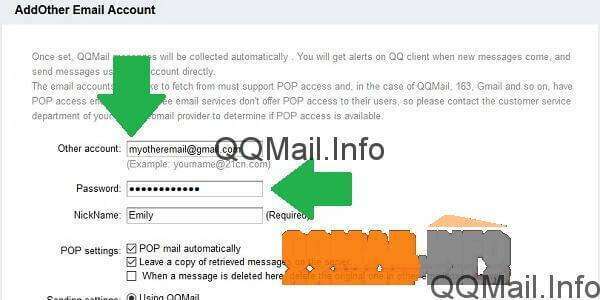 Whatever platform you are using, you can fill in all the information to import your QQ Mail, but if you try to add the account right now, it will be rejected because you haven’t enabled POP access in your qqmail settings yet. Just a friendly warning upfront: this section is a bit tricky and can be hit or miss, depending on your internet connection, your cell service, and how QQ Mail happens to be feeling today. Chinese will be involved, and this might not end up working at all. If things get too hairy, I recommend reaching out to qqmail tech support for help. 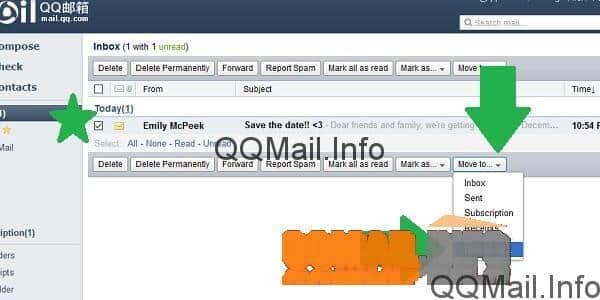 From your qqmail inbox, go up to the top of the screen and click on “Settings”. Then, click over to the second tab, labeled “Accounts”. Now, scroll down until you find the section titled “POP3/IMAP/SMTP/Exchange/yada yada yada”.You’ll see that all of these options are set to “closed” by default. You will need to open POP3 in order for the import to work. Click on the top link that says “open”. Okay, now a page is going to open up in Chinese. Don’t panic! It’s just your exact same settings page that you were just on, but now it’s in Chinese. If your spatial memory is good, you’re just going to find the exact same “open” link you clicked on before, and click it again. 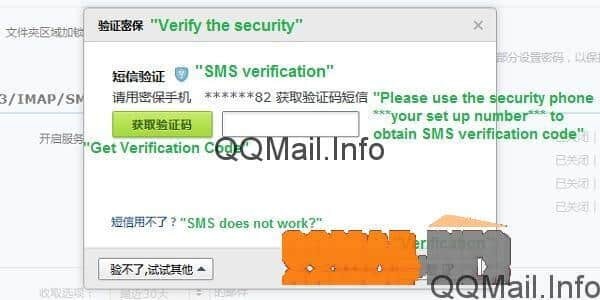 Basically, you need to click the green button to make QQ Mail send a code to your mobile number via text message. When you get the code, type it in the box, and click the button at the bottom that says “Verification”. 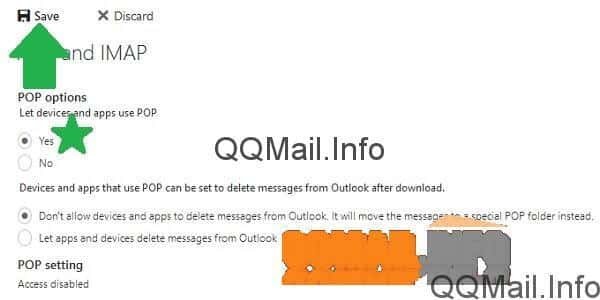 After that, assuming it works, you can go back to your Gmail, Outlook, whatever, and “add account” to send the request to qqmail. 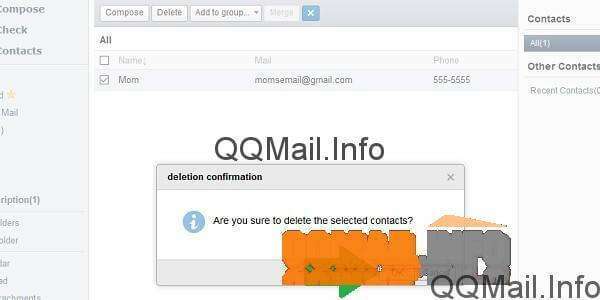 Make sure you check out our post on how to add and delete contacts in your QQ Mail account.